Siena is divided into three thirds or “Terzi”, Terzio di Camollia in the north; Terzio di Città in the south-west; and Terzio di San Martino in the south-east. It is then further subdivided into 17 contrade (singular contrada) or boroughs. They were originally formed in the Middle Ages as administrative units to help the authorities raise military companies to defend Siena. They have now lost their administrative and military functions and are effectively local civic associations based on tradition. But they play an immense role in local life, serving as a sort of social club and as a source of informal social assistance for those in need. At the end of the Second World War when the fascist regime collapsed, it was the contrade who stepped into the breach and kept Siena running. Now, the Palio creates the main framework for the rivalry between the contrade and many of the activities within them. There is a six-month build-up to the festival involving a number of ceremonies and banquets, starting on the last Sunday of April when a festival is held heralding the return of spring. The Palio itself is now held twice a year, on 2 July and 16 August. As there is not room in the Campo for all the contrade to participate, only 10 of the 17 contrade compete - the seven which did not take part in the corresponding race the previous year and the others chosen by lot. To ensure fair play, the jockeys usually come from outside Siena, often from Sardinia. The activities of each contrada are run by a democratically elected Council of contrada residents. Everybody is involved in their contrada from the earliest age, when babies are “baptised” into the contrada at the contrada fountain (a relatively new tradition). The contrada arranges numerous activities for its children, including the equivalent of summer camps; and adults and children participate in a variety of events connected to the Palio. You will see contrada processions in Siena throughout the year, with everybody wearing the contrada flag, and also groups of boys practising flag-throwing and drumming in preparation for the Palio. You may also see long tables being set up for contrada street meals. The net result of all this activity is that there is so much for the young to do, tinged with a sense of healthy rivalry with neighbouring contrade (most contrade even have official “allies” and “enemies” among the others), that the crime rate in Siena is one of the lowest in Italy – although it has to be said that there is probably a certain amount of rough justice privately meted out within the contrade, e.g. when people are caught with drugs etc. Each contrada has its own colours and symbol, after which it is named (usually adorning many of the houses in its area as well as appearing on its flag); a feast day; a small church where the contrada horse is blessed before the Palio; a stable for keeping the horse before the Palio; a fountain; a museum (with the costumes etc. for the Palio); a Room of Victories (Sala delle Vittorie) with the Palio banners won through the ages; and now a website. Villages outside Siena tend to have an honorary attachment to one of the contrade; Barontoli regards itself as belonging to the Contrada of the Snail or Chiocciola. 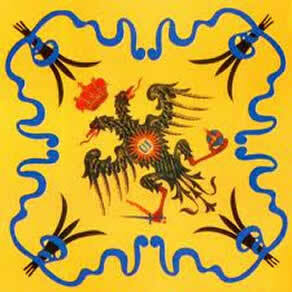 Aquila’s symbol is a double-headed black eagle holding an orb, a sword and a sceptre. The UI on the eagle’s breast stands for Umberto I. Its motto is “Unguibus et Rostris, dell’Aquila il Rostro, l’ugna e l’ala” (with claws and beaks: with the beak, claw and wing of an eagle). It is one of the most central contrade. Its patron is the Holy Name of Mary, feast day 12 September. Its museum is in the Palazzo Agazzari-Nastasi in the Casato di Sotto. 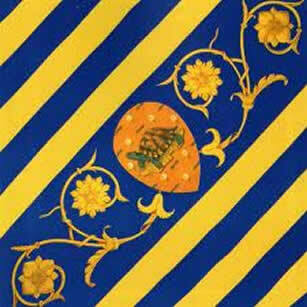 It is one of four contrade which can describe itself as “nobile” (noble), an honour conferred by the Holy Roman Emperor because of the warm reception he received from the contrada in 1536. Its inhabitants are called Aquilini. Bruco’s symbol is a caterpillar crawling on a rose. Its fountain is the Fonte San Francesco near the church of that name. It also can describe itself as “nobile”, an honour conferred in 1369 for its people’s role in defeating the Holy Roman Emperor Charles IV. 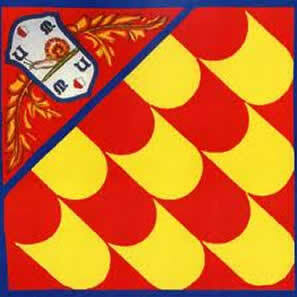 Members of the contrada led a revolt in 1371 aiming to replace the Sienese Council by a people’s government and its motto is “Come rivoluzion suona il mio nome” (as revolution sounds my name). Its museum is at 44 via del Comune. Traditionally, its residents worked in the silk trade. Its people are called Brucaioli. Chiocciola’s symbol is a snail and its motto is “Con lento passo e grave, nel Campo a trionfar Chiocciola scende” (with slow and deliberate steps, snail leaves the battlefield triumphant). It was traditionally the contrada of terracotta makers. Its patron saints are Sts Peter and Paul (feast day 29 June) and its museum is in the crypt of the church of that name in via San Marco. Its inhabitants are called Chiocciolini. Civetta’s symbol is a crowned owl sitting on a branch. The letters U and M on the shield stand for Umberto I of Italy and Margherita (his queen). Its motto is "Vedo nella Notte" (I see in the night). It has two patron saints, St Anthony of Padua and the local Saint Bernard Tolomei. It was granted the title “Priora” because it hosted the first meeting of the “Magistrato” of “Priors” of the contrade, the body that coordinates contrada activity. Its museum is in Castellare degli Ugurgieri, between via San Vigilio and via Angiolieri. Traditionally, its residents were shoemakers. Its inhabitants today are known as Civittini. Drago's symbol is a flying golden dragon carrying a banner with the letter "U" for Umberto I and surmounted by a royal crown. Its motto is “Il cor che m'arde divien fiamma in bocca” (the heart that burns in me becomes flame in the mouth). Its patron saint is St Catherine of Siena, feast day 29 April. Its museum is at 19 Piazza Giacomo Matteotti. Traditionally, its residents were bankers. Its inhabitants are known as Dragaioli. Giraffa's symbol is a giraffe led by a Moor, and a ribbon, bearing the motto "Humbertus I dedit" (Umberto I gave it"). Its motto is “Più alta la testa, più grande la Gloria” (the higher the head, the higher the glory). Its patron is Our Lady of the Visitation, feast day 31 May. Its museum is at 2 Piazza della Giraffa. 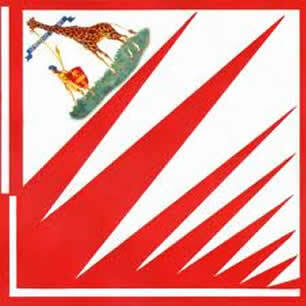 It has the title of Imperial Contrada because, when it won the Palio in 1936 in the presence of King Umberto I, he gave it this title in honour of Italy’s newly acquired Empire in East Africa. Traditionally it was the contrada of painters. Its inhabitants are known as Giraffini. 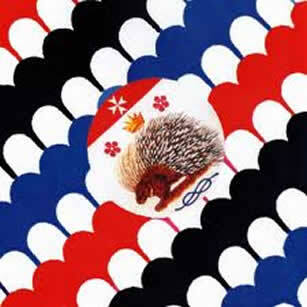 Istrice’s symbol is a porcupine, a creature that the Romans imported from Africa and which still lives in Tuscany today (to the distress of farmers as it eats all sorts of root crop). There are Cyprus roses above the porcupine and a Savoy knot below. Its motto is: "Sol per difesa io pungo" (I prick only for self-defence). Its patron saint is St Bartholomew, feast day 24 August. Its museum is at 87 via Camollia. It is known as the “contrada sovrana” (sovereign contrada), owing to the headquarters of the Sovereign Military Order of Malta being there during the 14th century (there is also a Maltese cross on its flag). Its inhabitants are called Istriciaioli (a good test of Italian pronunciation). 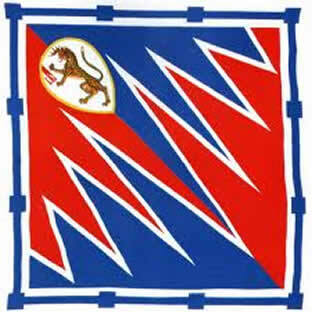 Leocorno's symbol is a unicorn, rampant, with the motto "Humberti regio gratia" ("A kingdom by the grace of Umberto"). Its motto is “Fiede e risana al par l'arma c'ho in fronte” (the weapon on my forehead both wounds and heals – unicorn horns were supposed to have healing powers). Its patron saint is St John the Baptist, feast day 24 June. Its museum is at 15 via di Follonica. Its fountain is the ancient Fonte del Pantaneto. It was the traditional base of Siena’s goldsmiths. Its inhabitants are called Lecaioli. 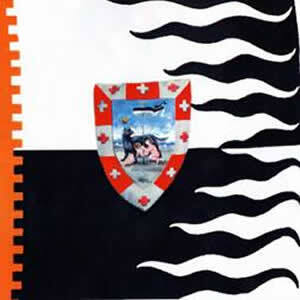 Lupa's symbol is a female wolf nursing twin boys, who hold a black and white pennant (black and white being the colours of Siena, as well as those of the contrada itself). The image refers to the legend that Siena was founded by Senius, the son of Remus who, along with his twin Romulus (founder of Rome), was raised by a wolf. Its motto is “Et Urbis et Senae signum et decus” (From the City [Rome] the emblem; from Siena the honour). Its museum is at 63 via Vallerozzi. Its patron saint is St Rock, feast day 16 August. The contrada was traditionally inhabited by bakers. Its people are called Lupaioli. 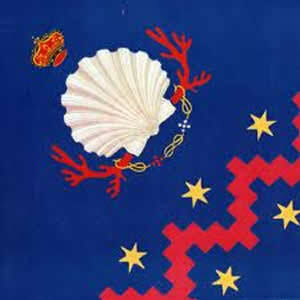 Nicchio's symbol is a crowned scallop shell flanked by two branches of coral, surmounted by a Grand-Ducal crown and with three Savoy knots below. 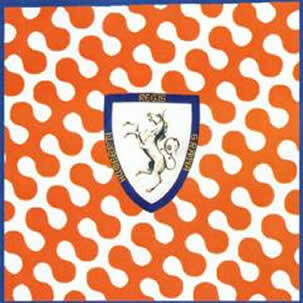 Its motto is “È il rosso del corallo che m'arde in cor” (It is the red of the coral that burns in my heart). Its museum is at 68 via dei Pispini. It is one of the four “nobili” contrade, having earned the title after its soldiers led the attack during the Battle of Monteaperti against Florence in 1260, a famous Sienese victory. Its residents were traditionally potters. Its people are called Nicchiaioli. 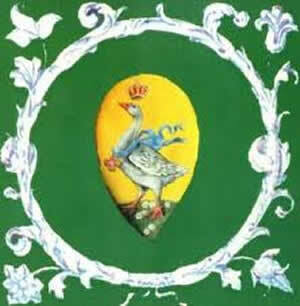 Oca's symbol is a crowned goose wearing around its neck a blue ribbon marked with the cross of Savoy. 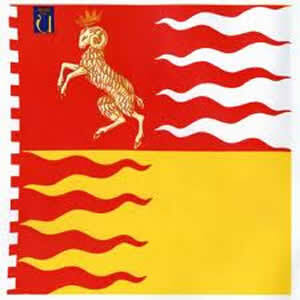 It also is a “nobile” contrada, because of the bravery of its soldiers in the Republic’s battles. Its motto is “Clangit ad arma” (it screeches to the battle). Its patron saint is St Catherine of Siena, and its museum is next door to the Oratorio of St Catherine in Fontebranda, in via Santa Caterina, feast day 29 April. Traditionally, the trade of its inhabitants was making dyes. Its people are called Ocaioli. Onda’s symbol is a dolphin. 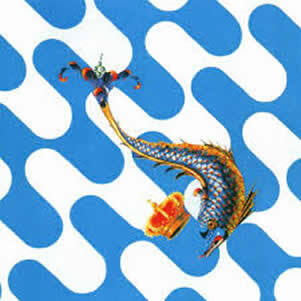 Its motto is “Il colore del cielo, la forza del mare” (the colour of heaven, the force of the sea). Its museum is at 111 via Giovanni Duprè (he was a well-known sculptor from the contrada). 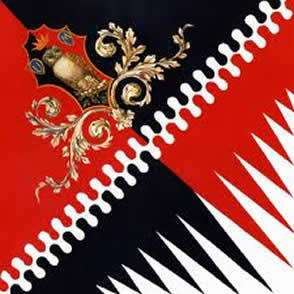 It has the title of Contrada Capitana because in the past its soldiers mounted guard at the Palazzo Pubblico. Its patron is the Visitation of the Most Holy Mary, feast day 2 July, but celebrated the fourth Sunday of June. Traditionally, its residents were carpenters. Its people are called Ondaioli. Pantera’s symbol is a rampant panther, with the Initial U for Umberto I under its raised claw. Its motto is “Il mio slancio ogni ostacalo abate; La pantera ruggì e il popolo si scosse” (My leap smashes every obstacle; the panther roars and the people tremble). Its patron saint is St John the Baptist, feast day 29 August, and its museum is at 26 via San Quirico. Its people are known as Panterini. 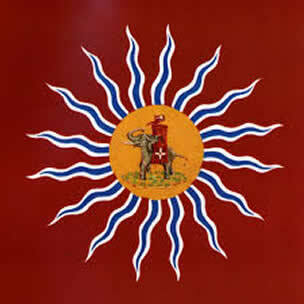 Selva's symbol is a rhinoceros at the base of an oak tree hung with hunting tools. Above there is a golden sun with the initial U. 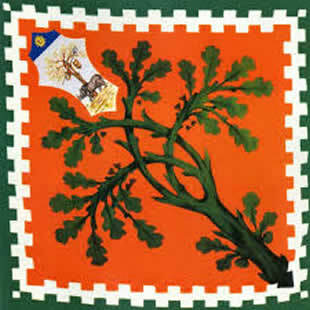 Its motto is “Prima Selvalta in Campo” (the high forest is first in the field – hills round Siena are afforested and Selva’s float used to be in the shape of a mountain). Its patron saint is the Assumption of the Holy Virgin, feast day 15 August, and its museum is at 3 Piazzetta della Selva. Traditionally, its residents were weavers, but they also had a reputation for being excellent archers. 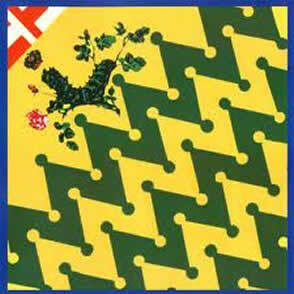 Its people are called Selvaioli..
Tartuca's symbol is a tortoise with alternating Savoy knots and daisies. Its motto is “Forza e costanza albergo” (I cherish power and constancy). Its patron saint is St Anthony of Padua, feast day 13 June. Its museum is at 21 via Tommaso Pendola. Its residents were traditionally sculptors. Its people are known as Tartuchini. Torre's symbol is an elephant (the contrada's original name was Liofante or Lionfante), wearing a red drapery with a white cross, and with a tower on its back. Its motto is “Oltre la forza, la potenza” (beyond force, power). Its patron saints are St James the Great and St Anne, feast day 25 July. Its museum is at 78 via di Salicotto. Siena's Jewish quarter and synagogue are in this contrada (below the Campo). Its residents traditionally worked as woolcombers. Inhabitants are called Torraioli. 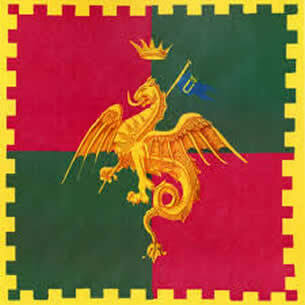 Valdimontone's symbol is a crowned rampant ram, with a blue shield emblazoned with the letter "U" for Umberto. Its motto is “Sotto il mio colpo la muraglia crolla” (under my blow the wall falls). Its museum is at 6 via di Valdimontone. Its patron is the Most Holy Mary of Good Counsel, feast day 26 April. Traditionally, its residents were tailors. Inhabitants are called Montonaioli and the contrada is colloquially known as Il Montone.